The PPP framework was created in Colombia in 2012 by Law No. 1508/12 (the PPP Law). This Law defines PPPs as an instrument of private capital linkage, which is materialised in a contract between a state entity and a natural person or legal entity, for the provision of public goods and their related services, which involves the retention and transfer of risks between parties. The payments to the private sector are conditioned to the availability of the asset or service, as well as to the accomplishment of performance standards. The types of transactions permitted by the PPP Law are design, construction, repair, improvement or equipment of an asset and its related services, all of which must involve the operation and maintenance of the infrastructure. It is important to note that the PPP Law includes concessions’ contracts as a form of PPP, and prescribes that PPPs may also be used for the provision of public services. The principles that govern PPPs in Colombia are of public administrative function of public procurement and fiscal sustainability. PPP schemes may be used when, in the planning phase, economic studies or cost-benefit analyses or comparative opinions show that they are an efficient or necessary method for project execution. The PPP framework in Colombia can be used for hard and social infrastructure. This includes the transportation, energy, water and telecoms sectors, as well as the provision of schools, hospitals, government buildings, prisons, hotels, museums, etc. The PPP framework in Colombia is the PPP Law and its regulatory decrees. This framework does not include the concessions contracts for ports, which are regulated by Law No. 1/1991. In Colombia, there is no centralised authority on PPPs. Any national or subnational entity can carry out its own PPP programme. However, notably, the National Infrastructure Agency is the public entity responsible for all national transportation projects, such as ports, airports, trains, roads and highways. PPPs can be procured at a national or subnational level. However, both need authorisation from national authorities; the National Planning Department will make a value-for-money analysis (public private comparator) and the Ministry of Finance and Public Credit must review and approve the assessment of the contingent liability valuations carried out by the state entities in the development of PPP schemes, in the terms defined in Law No. 448/98. The government sponsor makes milestone payments to the private party when the infrastructure is available. These payments are subject to deductions if the performance standards are not met. It is possible to agree that the compensation is payable from revenues generated by user fees (eg, tolls). The PPP framework also provides that national entities or authorities (the public party) may remunerate the private party with proprietary rights of land. Although, originally, this was only available to national entities, recently, the Constitutional Court ruled that local and regional entities may also remunerate in this way under the argument that local entities are entitled, by constitution, to the administration of their own goods without any interference from the national government (judgment C-346 of 2017). As of the date of this ruling (24 May 2017), national, local or regional entities can remunerate the private party of a PPP by means of establishing a right in rem in their favour over an immoveable property of such entity. The PPP Law establishes that PPPs must have an efficient allocation of risks, transferring each of them to the party that is better suited to manage them. The idea behind this is to mitigate the impact that the consolidation of any of these risks can have on the availability and the quality of service of the project. No. The public entity cannot start a tender process if the budgetary funding has not been previously approved. Once the PPP contract is signed, the resources are transferred to the trust of the project, to which all assets and liabilities for the project must be transferred. This trust is responsible for the periodic payments. The PPP framework does not establish a cap on the rate of return that may be earned by a private party. The rate of return of the project is calculated using a methodology from the Ministry of Finance and Public Credit. If the rate of return presented by the private party is higher than the one set for the project, it is most likely that the proposal will be rejected. at least one of the leading parties that participated in the offer remains with a minimum of 25 per cent participation. The procedures that apply to a PPP procurement are divided into two different types of initiative: public initiatives and unsolicited proposals. Any project that requires more than 30 per cent of national or subnational budgetary disbursements must be selected using the public initiative procedure. typology, estimation and allocation of risks, potential contingencies and matrix of associated risks. Unsolicited proposals are divided into two different procedures that lead up to the tender, depending on whether the unsolicited project requires public resources or not. If the project requires less than 30 per cent of centralised national government disbursement, the process must be granted using a public tender. In this case, the PPP Law grants the original proponent of a project a qualification bonus that ranges from 3 to 10 per cent over its initial qualification, depending on the size and complexity of the project. On the other hand, if the unsolicited proposals do not require public funds, the procurement procedure is the abbreviated selection of minor account as stated in Law No. 1150/07, which can be defined as a shorter-term public tender. In this case, the original proponent of the project is given the right to improve the subsequent better offer submitted by a third party during the tendering process. assessment factors: service levels, quality standards, current value of expected revenues, lower level of state funding and consideration offered by the bidder. The private party may present proposals that deviate from the scope or technical characteristics of the procurement documentation; but, according to article 12.2 of the PPP Law, the government may only evaluate proposals based on the criteria established in the procurement documentation or scope statement. In other words, proposals that deviate from the scope of the procurement documentation may be presented, but the deviation will not constitute a factor for evaluation by the government. Private investors may structure projects at their own risks and bearing all structuring costs, and then submit these to the public authorities in strict confidence. The preparation process follows with a two-staged viability test. The sponsor must provide a complete description of the project (minimum construction design, operation and maintenance, organisation and exploitation), indicate the scope of the project, prepare demand studies and identify sources of financing. Once the project is submitted, the state entity has three months to assess the project’s viability. If its decision is favourable, the private entity may continue to the second phase (feasibility), although this does not mean that the state has awarded the project to the sponsor. provide a copy of the contract template. If the sponsor is not awarded the project, the costs for compiling the studies will be covered. Once the project is submitted, the public entity has six months to decide whether the project is viable or not. This period may be extended for three more months. If the project is viable, the public entity will inform the sponsor of all the conditions for accepting the proposal, including the costs of the structuring studies. The sponsor has two months to accept the conditions or to suggest alternative options. If the parties fail to reach an agreement within these two months, the project will be rejected. In case the originator of a private PPP is not chosen for its execution, the awardee and not the government party must pay the originator the cost of all the studies made for structuring the project, determined by the government party. This is the only type of stipend that the unsuccessful proponent shall receive. 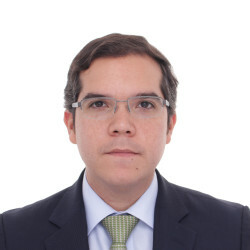 In Colombian law, the government body requires that every proposal includes documents that detail the financial capacity of the private party, or its capacity to obtain funding for the project. The government body shall bear this in mind while evaluating the proposal. But these documents are not necessarily required to be commitments. One way in which to ensure that the PPP transaction, once awarded, is financeable, is to add a clause to the contract specifying that failure to obtain the finance required will be deemed a breach of the contract, causing termination of the PPP agreement. There is no specific obligation for the government party to ask for a legal opinion on the enforceability of the PPP agreement. Nonetheless, Law No. 80/93 establishes that the attorney general’s office may intervene in the selection process or execution of the agreement to ensure enforcement of the law. The reason behind this is that most government entities have a legal department that is present during the PPP agreement process. According to Law No. 80/93, which applies to what is not regulated by the PPP Law, foreign entities are welcome to participate in PPP projects with no restriction. In fact, according to article 20, foreign proponents shall receive the same treatment as domestic ones. Therefore, foreign entities may exercise control over the project company. PPP Law does not mandate any particular form for governing design and construction activities; however, Law No. 80/93 dictates that contracts regarding direction, programming and execution of designs are consultancy contracts. According to Law No. 80/93 and the Civil Code, in Colombia, the rule of lex loci solutionis is fully applicable, therefore any contract that is to be executed in Colombia will be governed by Colombian law. Local law does not specifically impose liability for design defects, but these defects are customarily included as risk of the agreement and are normally incurred by the private party. PPP regulation only requires specific warranties to ensure the commitment of the proposer. These are mandatory in order to bid for the project and must be equivalent to 10 per cent of the budget for the project. The warranty may be an insurance policy, bank warranty or warranty trust, among other things. The warranty must cover at least one year, or until the contract is signed. The execution of the contracts requires another type of warranty that is not included in the PPP Law but in Law No. 1150/07. This warranty may be an insurance policy or bank warranty, among other things, and must cover several events. An insurance policy is also demanded for state liability. Liquidated damages for delay in construction are enforceable by the government. These damages may be enforceable in the liquidation carried out at the end of the contract, and, if not paid or accepted, they may be claimed before a judge. Penalty clauses are enforceable if they are included in the contract, according to article 17 of Law No. 1150/07. In Colombia, as public contracts are used to provide a public service, the contractor and the government are understood to be the same person, therefore any limitation for indirect or consequential damages is forbidden because it would mean a limitation of the government’s liability, and therefore be considered unconstitutional. Since PPP projects are developed in order for an individual to provide public services, under no circumstances can the private party suspend the provision of these services, even in the event of non-payment. Nevertheless, this type of conduct constitutes a cause of non-compliance that can be alleged before a dispute board, an arbitral panel or before a judge. No. These types of clauses may be included in the PPP contract after evaluating the type and the scope of the project. The PPP framework does not regulate equivalent project relief clauses, although they may be agreed upon by the parties to the PPP agreement. According to PPP Law, the contract is an agreement of wills, so government may not unilaterally decide to expand the work of the PPP. Any additions to the PPP agreement are limited to a percentage of the original contract. Public PPP and private PPP with public resources can only add 20 per cent of the value of the original contract (articles 13 and 18 of the PPP Law), and private PPP without public resources cannot add public resources to it. Article 27 of Law No. 80/93 establishes that the balance of the agreement between rights and duties must be maintained (economic equilibrium). In order to do this, when the balance is broken for causes not attributable to the affected party, additional agreements and measures must be taken by the parties to reach a no-loss point in the contract. No. The private party does not own the construction work and therefore it cannot be subject to any assessment or burden. Bid documents must contain every material provision related to design and construction work, particular to each project. The PPP contract must define, in detail, the obligations during the operating period. In addition, Decree No. 1082/15 stipulates that service levels and quality standards must be included in the agreement and establishes the possibility of agreeing deductions to the private party’s remuneration when these levels and standards are not met. Decree No. 1082/15 establishes that deductions from the private’s party remuneration that may be applied when it does not meet the agreed levels and standards of service and quality must be included in the PPP agreement. The conditions of the facilities and goods that are to be handed back to the government are to be set in the PPP agreement. Therefore, whenever the private party does not meet these conditions at the time the facilities are handed back, the private party must refurbish them to meet this criterion. As this is a risk that is better handled by the private party, customarily the private party is allocated with this risk. According to the National Council for Economic and Social Policy (CONPES) Document 3760 (regarding PPPs in roads and highways), the risk of obtaining the necessary permits is to be allocated to the private party. It could be said that it is customary for the private party to be allocated with this risk. It is usual for both parties to include a clause in the agreement regarding what may be understood by force majeure and to whom the risk is to be allocated. It is customary that the party who is best able to handle this is allocated this risk, so, depending on the specific risk, it could be allocated to either party. For example, lack of access to property is usually allocated to the private party, but, depending on the percentage of cost overturn, some of that risk may be allocated to the government body, according to CONPES Document 3760. According to Law No. 80/93 and CONPES Document 3107, the treatment of these risks must be stipulated in the agreement, and is usually allocated to the public entity. The private party may request an extension after the first three years and before 75 per cent of the initial time agreed has passed. However, extensions cannot exceed 20 per cent of the initial time. PPP contracts, by general rule, have a maximum term of 30 years. The only way to increase the term is if the CONPES approves it. There are no specific events under the current PPP framework that entitle the private party to additional compensation. However, the addition of resources is regulated by the PPP Law and this may never be more than 20 per cent of the original contract. Compensation is calculated on a case-by-case basis depending on the project that is to be developed. This compensation can be paid by the operation of the project itself (users of the project) or by authorised future public funds, or a mixture of both. Even though there is no specific or broad regulation on insurance in the PPP Law, Decree No. 1082/15 is applicable. Therefore, the risk of the insurance becoming unavailable on commercially reasonable terms is appointed to the private party. The government party has several options regarding breach by the private party. The viability of these options depends on the type of breach and whether it seriously and directly affects the execution of the PPP agreement. As article 22 of the PPP Law establishes, PPP contracts shall include the ‘exceptional clauses’ that govern every public contract according to Law No. 80/93. Therefore, if the breach seriously and directly affects the execution of the agreement, the government party may apply a cancellation clause, which allows the government to terminate and liquidate the contract in any state of development, which also leads to penalties for the private party, such as not being able to complete any contracts with the government. In addition, should the private party incur any of the causes listed in article 17 of Law No. 80/93, the government could also terminate the contract unilaterally. However, if the breach by the private party is not one of the aforementioned types, the government body may sue the party before a judge in order for the judge to declare a breach, and the government party may claim any damages it may have suffered because of the breach. The government can also impose several fines to force the private party to fulfil the contract if this possibility has been agreed in the PPP contract. if the agreement is null and void. The way in which the termination takes place differs for each of the above-mentioned cases. For example, article 20 of Law No. 1882/18 prescribes that when a judicial authority declares the absolute nullity of the state contract, or when an administrative or judicial authority or the contracting state entity orders its termination originated in a ground of absolute nullity, the updated value costs, investments and expenses executed by the contractor, including interests, minus the remuneration and payments received by the contractor by virtue of compliance with the contractual object must be recognised to the private party. the acknowledgements do not correspond to costs or penalties, agreed or not, that have been applied to the contractor due to the early termination of non-labour contractual relationships, except in the case of those associated with credit agreements, financial leasing or termination of the derivative contracts of financial coverage of the project. The private party will not be able to receive as a remainder, after the payment of the credits, a sum superior to the contributions of capital of its partners minus the dividends decreed, dividends paid and under capitalisations made by the partners. As exceptional clauses from Law No. 80/93 are to be included in all PPP agreements, one of the causes for unilateral termination is when the needs of the public service provided by the agreement, or the public order situation, demands it. These situations may be understood as a termination for convenience. Regarding this matter, it is important to bear in mind that article 32 of the PPP Law specifies that, in PPP contracts, a clause should be included with a mathematical formula to determine in advance by mutual agreement, or unilaterally, the possible reciprocal benefits between the parties in the case of terminating the contract. According to the current regime, any type of termination of a PPP agreement engenders to compensation for either the government party or the private party if they are entitled to it. Under article 32 of the PPP Law, modified by article 20 of Law No. 1882/18, in the contracts that develop public-private partnerships projects, a clause will be included in which a mathematical formula will be established to determine the possible reciprocal benefits to which the parties are entitled if the contract is terminated in advance by mutual agreement or unilaterally by the state agency. long-term senior debt: debt with a priority of payment and through which the FDN will provide financing for longer terms than the market offers. This product will align the cash flow of the project and ensure that the costs correspond to the risks of each of the phases. No privity of contract is afforded by the lender directly with the government party. Lenders have a direct contract with the private party that is used to finance the project. Article 30 of the PPP Law prescribes that in case of breach of contract by the concessionaire, lenders may exercise step-in rights and take over the PPP project directly or through a third party. This matter is not regulated under the Colombian PPP framework. No specific regulation in this matter exists in the PPP framework. It is a matter solved mostly on the agreement itself, and usually there is no obligation to share the gains with the government because it is a reward to the private party for its efficiency. According to Law No. 80/93 and the Civil Code, all contracts that are to be executed in Colombia must be governed by Colombian law (lex loci solutionis). Under article 22 of the PPP Law, every PPP agreement must include the exceptional clauses regulated in Law No. 80/93. These clauses may be understood as immunities that the government party enjoy and cannot be waived. Some of these clauses are: unilateral interpretation of the contract, unilateral modification of the contract, unilateral termination of the contract, cancellation and submission to national laws, among others. Although this is not regulated in the PPP Law, the Arbitration Law (Law No. 1563/12) allows public contract disputes to be settled by arbitration. 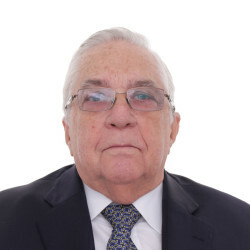 Normally, under Colombian law, if the dispute involves monetary issues and is considered tradable, the parties must first try to settle in a settlement hearing before they come before a judge; there is no such requirement when parties want to settle their disputes before an arbitration tribunal. There is no special mechanism. Depending on what the parties have agreed, they can take the case before a judge, a dispute adjudication board or an arbitration tribunal, in order to settle the technical dispute. Currently, Colombia is executing the 4G infrastructure programme, which is the biggest PPP programme in South America and worth approximately US$19 billion (the second and third being Brazil and Mexico at US$12.6 billion and US$7.8 billion respectively), composing of 30 large projects that have already been awarded; 10 of which are financed exclusively by tolls (private initiatives) and 20 receive additional contributions from the government (public initiatives). This programme started at the beginning of 2016 and, as of April 2018, of its 30 projects, 21 remain at the construction stage and 12 have met the financial close. In Bogota, the tender process for the first line of its metro system began in late 2018, and the city is also structuring a hospital PPP programme worth US$500 million, whose tendering process began in August 2018. Saavedra Becerra Abogados SAS is a modern boutique law firm founded in 2010 in the city of Bogotá (Colombia), formed by experienced and top of the line professionals, with excellent credentials and whose main goal is serving its clients’ interests in the best possible way. 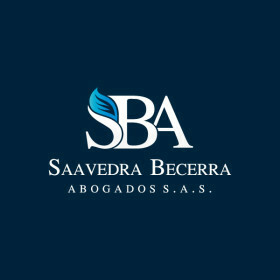 View more information about Saavedra Becerra Abogados S.A.S.